1.1 XLN Audio will collect personal data from you directly when you are in contact with us or if you submit your personal data through our website. Examples of sources from which XLN Audio collects personal data from you is when you use our inquiry and registration form or when you buy products online through the website. We may also generate personal data through your use of our services or our website. XLN Audio will not collect personal data in any other way, unless you have authorized it. market research data such as customer usage patterns or survey results. 2.1 XLN Audio will use your personal data to fulfil our contractual obligations towards you such as when you place an order, when we manage your account or inquiry or when running competitions that you have entered into. 2.3 Your personal data is also processed when you receive marketing material, for example newsletters, from us. Such marketing is only carried out if you consented to it or to fulfil our legitimate interest to provide you with material we believe you may be interested in. You can always opt-out from such marketing. 2.4 XLN Audio will also process personal data if we are required by law or our legitimate interest if processing is necessary in order to resolve disputes or legal claims. 3.2 XLN Audio only process personal data in the European Economic Area ("EEA") but may transfer personal data to third party suppliers located outside the EEA. XLN Audio will only transfer personal data to recipients if such transfer is carried out in accordance with applicable data protection legislations and primarily only to a recipient located in a country that is considered to have adequate protection. Our suppliers have entered into agreements with us to ensure the safety of your personal data and a supplier located in a country outside the EEA that is not considered to have adequate protection will also enter into the EU standard contractual clauses. Should you wish to receive a copy of any of the standard contractual clauses that XLN Audio has entered into, please contact us. 3.3 Other than what is set forth above, XLN Audio will notify you when personal data about you is shared with third parties. 4.1 XLN Audio will store your personal data until they are no longer needed for the purposes they were collected. The personal data may also be stored in order to fulfil another purpose than for which the personal data was initially collected, provided that the new purpose does not conflict with the initial purpose. 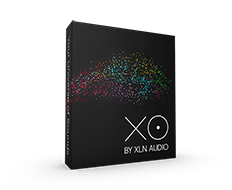 XLN Audio will erase the data that is no longer needed but may save specific personal data necessary in order to fulfil obligations under laws and regulations and maintain the relationship with you. 4.2 Information provided in the accounts and accounting information is saved for seven years in accordance with applicable accounting legislation. 5.1 You have the right to obtain a copy of your personal data processed by XLN Audio without cost. You may also request to have your personal data rectified if you consider it incorrect. 5.2 You have the right to demand erasure of incorrect personal data and processing of personal data that is no longer necessary. You may also request that personal data processed due to our legitimate interest is deleted. 5.3 You have the right to object to processing made based on our legitimate interests. Such objection means that XLN Audio may not process your personal data further. if you have objected to processing based on legitimate interest. 5.5 A restriction of processing means that the personal data only shall be further processed with your consent, with the exception of storage. 5.6 You have the right to receive the personal data that you have provided to us in a structured, commonly used and machine-readable format. This applies to processing based on your consent or due to an agreement. 5.7 If you have given your consent to processing, you have the right to withdraw that consent. When you withdraw your consent the processing that the consent refers to will cease and those collected personal data will be erased given that the personal data is not needed for any other purpose. 5.8 If you wish to invoke any of your rights specified above, you may contact us as described below. 5.9 If you are unsatisfied with XLN Audio's processing of your personal data or a decision regarding your rights, you always have the right to lodge a complaint with the supervisory authority. XLN Audio is under the jurisdiction of the Swedish Data Protection Authority (Datainspektionen).